Small to mid-sized manufacturers and even well-known brands who have historically shipped pallets to retailers are realizing the challenges of decentralized digital retail. Their distribution solution is no longer a streamlined operation able to handle omnichannel demands. Manufacturers were built for bulk and changing that fundamental infrastructure is no easy task. Distribution Management (DM) is a family of companies uniquely positioned to provide a holistic solution to manufacturers and brands no matter the sales channel. 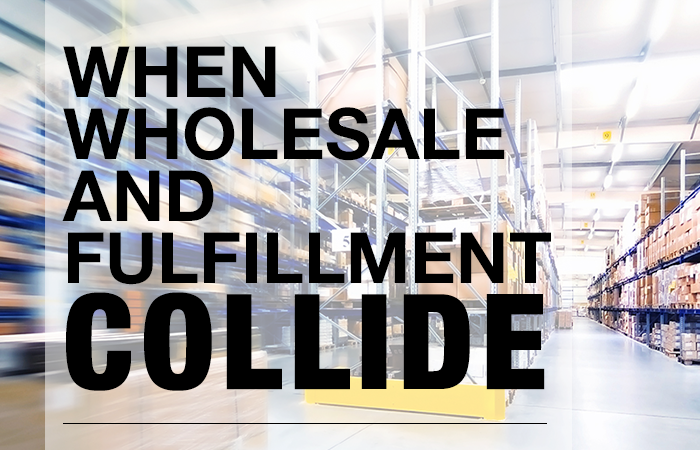 From wholesale, to fulfillment and a variety of services in between, they cover the spectrum of moving products from manufacturer and merchant to end-consumer. “We’ve built technology and integration solutions based on the growing e-commerce challenges of our customers,” said Greg Welchans, DM’s President & CMO. DM can bring pallets in and ship pallets out or break them down to ship eaches and bundles directly to the customer all while meeting various compliance requirements regardless of the sales channel. The audience to benefit most from DM’s unique business models are consumer packaged goods manufacturers who are either reaching capacity managing fulfillment themselves, are currently shipping bulk into brick and mortar retail but need to expand their e-commerce strategy or those looking to ease the pain and expense of selling on Amazon. Digital shoppers are spending $734.38 billion online (eMarketer, Feb. 2018). DM’s current integrations with storefront platforms, online marketplaces and retailers like Target, Walmart and Kohl’s allow streamlined omnichannel order fulfillment to these shoppers. Inventory is managed by one system at the item level, rather than by pallet or cases across multiple providers, and stock is updated to the various selling channels in real time. For manufacturers who started their business with brick and mortar retail relationships, this allows them to maintain a smooth supply chain fulfilling bulk orders to those locations while effortlessly executing a drop-ship, eCommerce sales strategy. In a Kenshoo survey of consumers across the USA, Germany, UK and France, 72% of shoppers say they now use Amazon to find products, with 56% indicating they usually look on Amazon first before looking at other sites. “Many of our clients who are selling via multiple online stores are also listing product on Amazon. With our Seller Fulfilled Prime service, they no longer need to manage to a separate Amazon inventory potentially losing sales are paying long-term storage fees,” said Welchans. Manufacturers are feeling pressure to find the best solutions for pursuing digital customers. The challenges are bigger than simple pick, pack and ship fulfillment. Success requires automated order flow, streamlined inventory management and a partner who can seamlessly fulfill pallets, eaches and bundles across all channels.